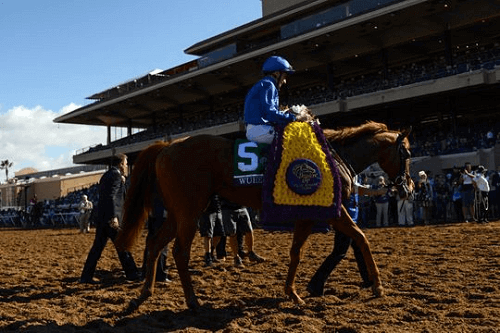 The premier horse racing event for female runner horses in America, the Breeders’ Cup Filly and Mare Turf, is grade one event like no other. Added to the Breeders’ Cup in 1999, the competition attracts some of the best talents from across North America and Europe. The winner of the Filly and Mare Turf race walks away with a handsome $2 million check and bragging rights. 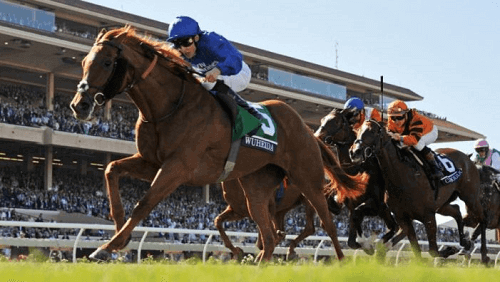 Let’s take a look at what the Filly and Mare Turf race is all about and how you can go about placing bets on the race. Find the best bookies that cater to American bettors looking to wager on the Filly and Mare Turf race. They offer great bonuses, cashback, and loyalty programs. This leg of the Breeders’ Cup is open to female thoroughbred horses that are three-years and older. The race is held annually in the US at racetracks across the country. The race is run at either 1 ¼ miles or 1 ⅜ miles depending on the turf course at the host track. One thing bettors and fans of the entire Breeders’ Cup series, is the unique American vs. European subplot. The fillies that come in from Europe are some of the best grass runners in the world. Additionally, European turf racing is considered to be better than ours. The most critical factor to consider when picking a horse is the term “class on the grass”. Class, in horse racing, describes the horse’s reserve racing power which it can use when its forced to a pace so fast that it burns out the lower-class horse’s energy reserves. This gives the higher-class horse sufficient power to go on and win the race. Class is especially important in grass races, like this one. Betting on the Breeders’ Cup Filly and Mare Turf is a lucrative race. Make sure you do your research and don’t get caught up chasing your losses.